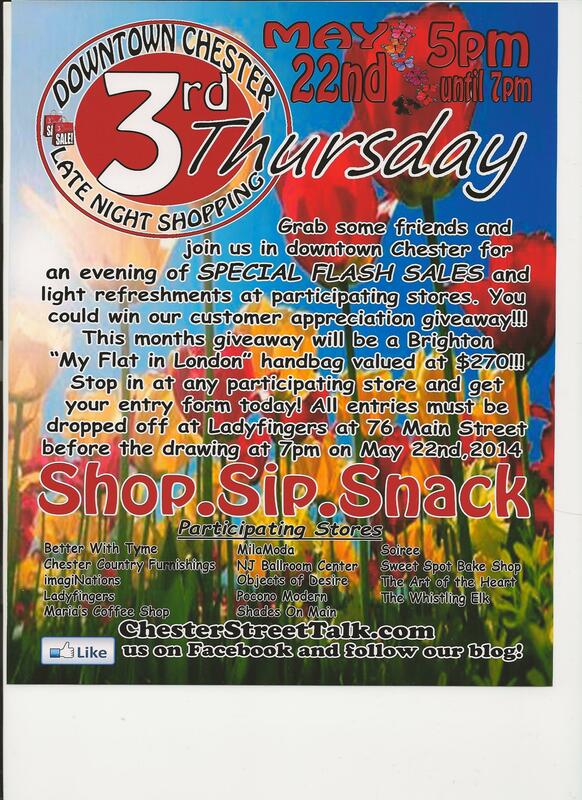 Don’t forget to mark your calendar for May’s Late Night Shopping in Chester NJ. Of course you can put in your entry anytime between now and May 22nd! While you are in town why not purchase ADVANCE TICKETS for the WINE & FOOD FESTIVAL – June 14 & 15. They are available at many shops in Chester! Or you can purchase them online anytime! 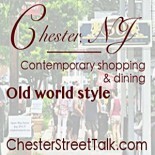 This entry was posted on April 24, 2014 by elegantparis in Chester Events, Chester New Jersey, Chester Wine & Food Festival, entertainment, Other, Restaurants, Shopping and tagged chester, chester events nj, Chester New Jersey, Chester NJ, Chester NJ Main Street Shops, chester street talk, Customer Appreciation Giveaways, date ideas northern nj, dining, entertainment, events, romantic ideas new jersey, shopping, support small business in new jersey, things to do in chester nj.